To the present day, there is a price range for gold per ounce that is making the commodities markets fall in desperation. Despite the several crisis all around the world, the financial logic of the gold “safe haven” is not being applied. All the Greece situation is making the investors fleeing from the Euro; the same for the Yuan, thanks to the local stock market chaos. All the betting were in favour of the United States Dollar, thanks to the highly anticipated Non-Farm Payrolls Report and its possible forecasts. It turns out to be a kind of a disappointment for investors that aimed that market the last few weeks because the experts’ forecasts were exaggerated. Now we see how the gold prices maintain steady between US$ 1.200 and 1.160. The bearish trend of the last weeks has been disappointing as well. 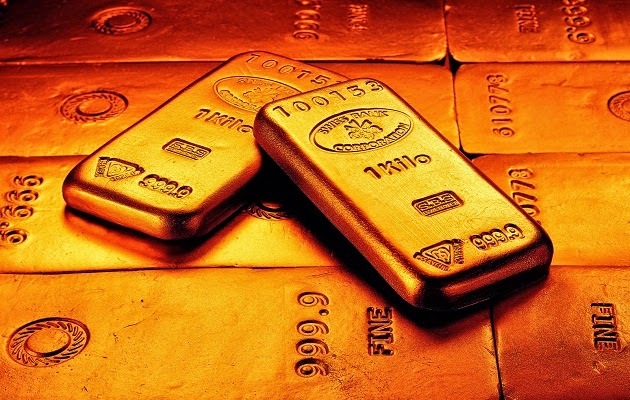 The experts of the precious metal market expected to happen any time soon a good trading period with a rise in the demand of gold, in consequence of several instabilities in markets worldwide. The first relevant indicator were the dramatic drop of the oil barrel prices. Now, the weakness of two major currencies (Euro and Yuan) isn’t still affecting greatly the gold prices in a positive way. But many investors and most of the mining industry are still grateful with this price range. If the key US$ 1.200 level maintains, they consider that there is not going to be any significant concern about it. In May, the gold prices go beyond this key level to US$ 1.230 but returned quickly. By that moment, the constant range was considered between US$ 1.180 and 1.220. So we can say for sure that the range is progressively decreasing through the months. The minor weakness of the US Dollar automatically translated to a quick but short recovery of the gold price. But this became a race between the US Dollar and the precious metal. The whole point is which is going to face better and with more resilience the upcoming European crisis and the decrease of the gold demand in China. Each asset has a positive circumstance going on right now. The FED wants to increase in a relevant way the interest rates, but the not-so-positive numbers of its latest report didn’t allow to do that. In the other hand, India is demanding more gold every day, what could counter the Chinese lack of demand. Unfortunately, a hike in the interest rates looks more attractive for investors than a precious metal with no interest-earn capacity. It is important to be aware of the forthcoming reports that have the faculty of dynamiting the economy. Australia will publish the AIG Construction PMI, the TD-MI Inflation Gauge and the ANZ Job Ads. New Zealand is going to release the Treasury’s Monthly Economic Indicators (Business Confidence). With some delay, Japan will publish May’s Leading Indicator. In the United Kingdom is going to be published the Halifax House Price Index, their data on manufacturing and industrial production, also their Annual Budget Statement. The European Union will publish the Sentix Indicator. Canada will release the Ivey PMI and the United States will release the Institute Supply Management’s Non-manufacturing Report. Back to Europe, Switzerland is going to publish a report on consumer inflation and data on its foreign currency reserves. As usual, the results of this reports will influence on the markets. Is expected of the sector’s professionals that the gold prices participate in this upcoming changes for good. Because the commodities market is getting weaker each day. Many precious metals are getting hurt at this odd trading trend going on lately. If China made up its stock situation soon, maybe the gold demand will increase again. By the moment, the only big player buying gold ore and bullions is India. The reason is not clear but looks like is an investing trend of the wealthiest. For its people, gold has always been a traditional material and property, perfect to bequeath through generations. Is being reported by some experts that if India were not demanding high quantities of gold, the prices would be even lower, maybe below the US$ 1.000 mark. But the metal still have an expensive costs’ structure that does not allow to get the final bullion prices cheaper. The retailers and jewelry merchants are demanding a significant share of the Indian gold import total. Because of their jewel crafting experts, their exporting in the sector is rising fast. They are also demanding plenty of precious gems for their crafts. Going back to the west, the forthcoming FED’s meetings are another highly anticipated event that can bring dynamism to the markets by making new measures and decisions in monetary policies. Their people are declaring from a long time ago that they want to do several changes against the Dollar. One of the most discussed is a possible devaluation to stimulate the exports. This can have a serious impact on the Dollar-Gold race.